Often you’ll hear wedding photographers saying they got X number of leads last month or a wedding photography directory claims they’ll get you a certain number of leads if you advertise with them. But it’s important to understand that not all leads are equal and there is a big difference between quality leads and those that are just wasting your time. 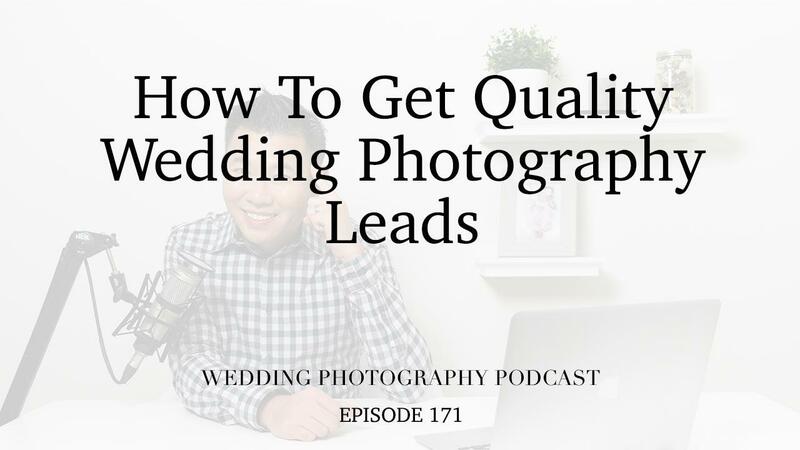 So what exactly is a quality wedding photography lead? In this podcast episode, we’ll discuss their criteria so you know how to go about getting them. Does your photography attract the kind of clientele you want and result in leads for weddings at venues you want to shoot at (and in your preferred style)? I’ll also share with you some of my tips for getting quality wedding photography leads, including the need to be in multiple places, having a solid website and responding to queries in a prompt manner. I truly believe that once you’ve got the lead, you’re more than halfway to securing the booking.